Quick Pic Books covering cars in them to show all the details. 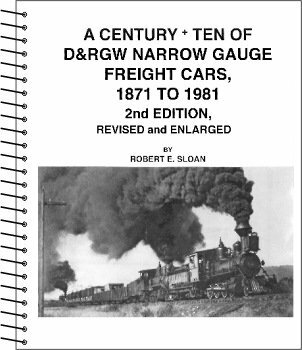 of information and is a must have item for any serious modeler, manufacturer, or fan of the D&RG/D&RGW narrow gauge lines. that otherwise was not generally known and include previously "lost" information. Mike Conder's name misspelled on pg. due to newly discovered information.